Each Thanksgiving, we cut, tear, and rip apart roasted, glistening turkeys like it will be our last meal on Earth. And we love doing it. 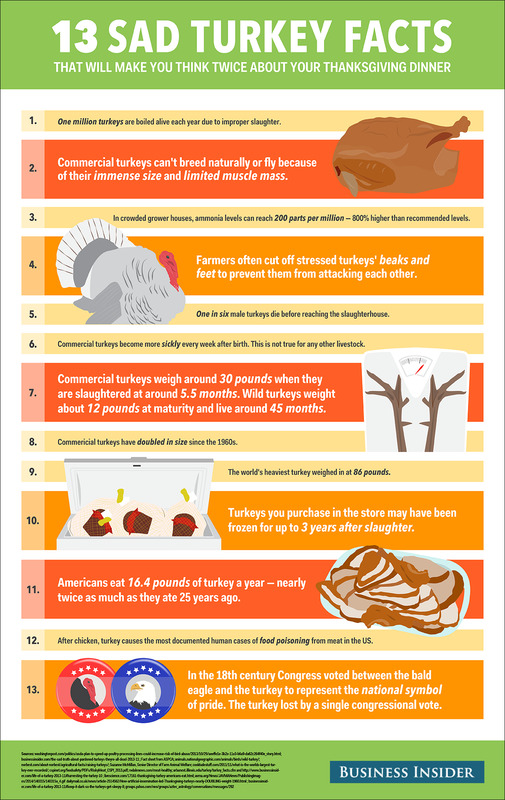 For those of you eating turkey this Thanksgiving, there are some facts you should know, first. Facts about flying turkeys, frozen turkeys, and the sad secret of the lucky pardoned turkey that might not be so lucky.